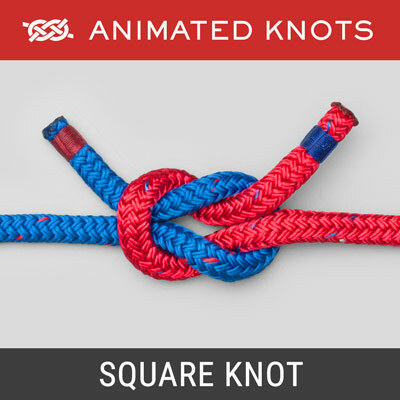 Makes a mat based on many crossings of Overhand Knots. 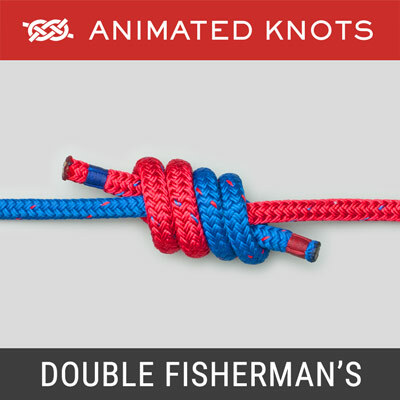 Tie an Overhand knot with long loops. 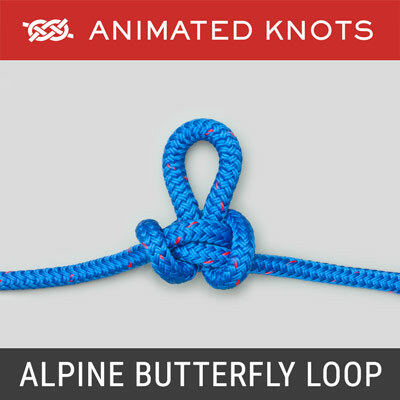 Twist each loop and cross them over each other. 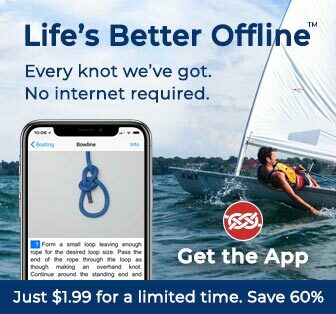 Thread the short end across the knot and thread the long end to lock the pattern. With the long end follow the pattern around. Repeat with a third, and a fourth, turn. Cut the ends and stitch them under the mat. Origin: The Ocean Plait Mat (ABOK # 2243, p. 362) is a member of a large family of symmetrical mats made by weaving the ends. 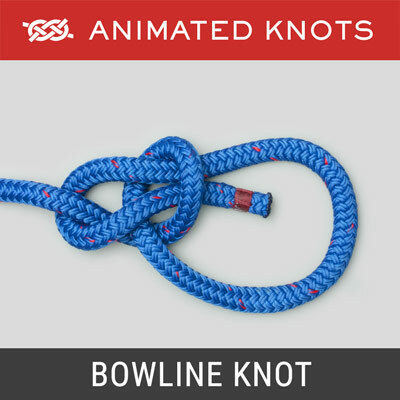 Each mat starts with an Overhand knot and can be lengthened merely be using longer loops and crossing them over each other again. Additional Turns: Four complete turns are shown in the animation. 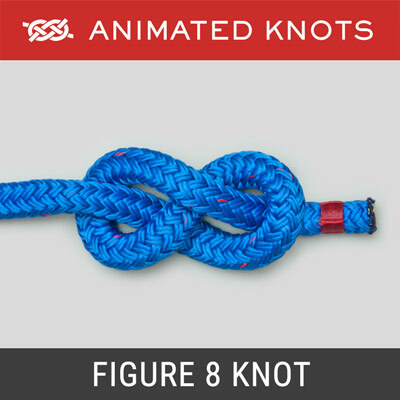 The tightness of the original knot determines the number of additional turns that can be added. The entire mat is finally tightened to eliminate any remaining space between the turns. Uses: Small Ocean Plait Knot mats make excellent tablemats and hot pads. Larger ones make excellent doormats or treads for stairs. Ashley provides a huge selection of designs, some of which are very elaborate with many crossings. Finishing the Mat: The two ends can be secured in one of several ways. When the mat is purely decorative, and the material is one that melts, the two ends can be heated in a flame and fused together. However, to do this an end has to be passed across other turns. The mat then has a thicker section and is less suitable as a tablemat. 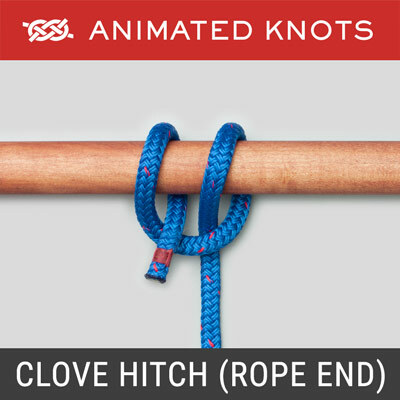 Another way to finish the mat is to attach each end to its neighboring turn using glue, twine, constrictor knots, or stitching. Whichever method is chosen, the junction should be concealed under another turn as shown in the animation.